Online or Hybrid Class? Get Set Up! RTC is a web-enhanced campus. No matter what kind of course you take, you will be using Canvas often. Where will you find your current grades? In Canvas. When are assignments due? Your Canvas calendar has this information, and will remind you of upcoming due dates as well. What is expected in each course? You can find your course information on the Canvas syllabus. What will you be learning? You can find all your course outcomes on your course syllabus. Do you need a flexible schedule? Do the demands of work and/or family make it hard for you to come to campus on a regular basis? Then the alternative formats and flexible scheduling options of our eLearning courses can help you achieve your educational goals. Our flexible learning formats include online and hybrid courses. All our eLearning courses, no matter the delivery method, meet the same objectives as traditional courses. They are academically rigorous and transfer to other institutions. Get Started - Get started at Renton Technical College. Your user ID will be your 9 digit student ID number assigned by Renton Technical College (this number is different from your Social Security number). Your initial password will be the first 8 letters of your last name. (If your name is fewer than eight letters, repeat from the first letter until you reach the eight; for example, Johnson=johnsonj, Park=parkpark.) Use all lower-case letters. You will be able to change your password once you access your class. If you need to have your password reset, contact elearning@rtc.edu. 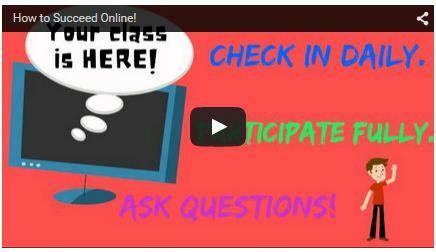 Log on to Canvas - Log in to view your courses. Orientation - Take a look at the short Canvas Orientation. Please review the resources below. They are designed to help you make the most of Canvas. You will need your employee ID number and your default password is the first 8 characters of your last name (repeated if your last name is less than 8 characters). Self-Paced Online Canvas Basics Course - This course offers a certificate of completion and is worth four hours of professional development. Canvas Instructor Guide - Constantly update, every question answered. Canvas for Faculty your go-to resource for Canvas. The Center for Innovative Teaching and Learning Useful faculty links all in one page.